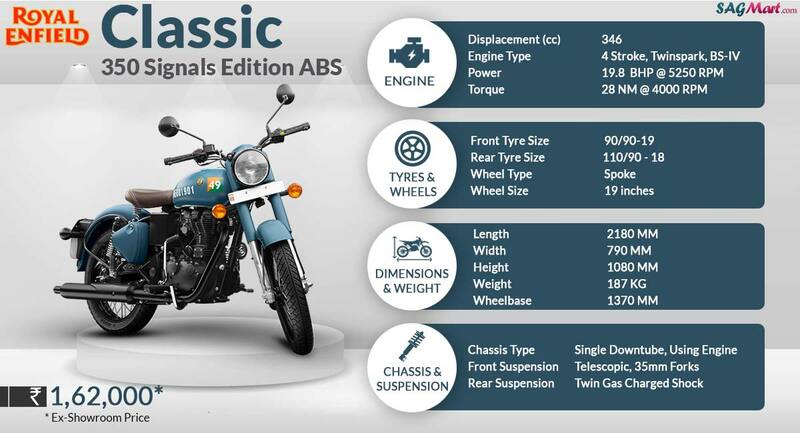 Royal Enfield Classic 350 ABS is an all-new introduction to the Chennai based automaker’s Indian lineup. This special edition Classic 350 is draped in navy blue and army brown colours with a square decal in Indian flag colours and number 49 inscribed. It’s a tribute to brand’s much storied with the Indian Armed Forces. It gets powered by a 346 cc single cylinder engine which delivers 19.8 hp and 28 Nm. New special edition 350cc gets improved braking with the armed disc brake, yet without ABS.